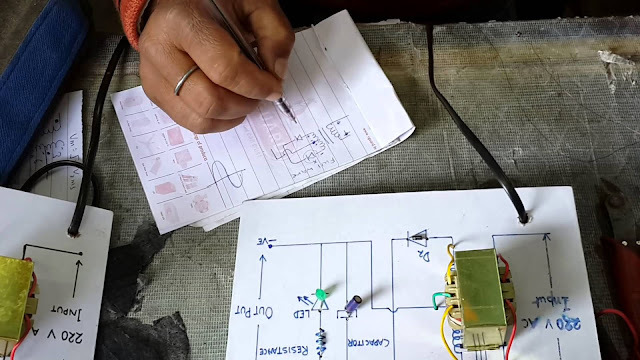 Home / Physics / Primary education / Science / Slider / Half Wave Rectifier Circuit Working, Analysis and Characteristics. 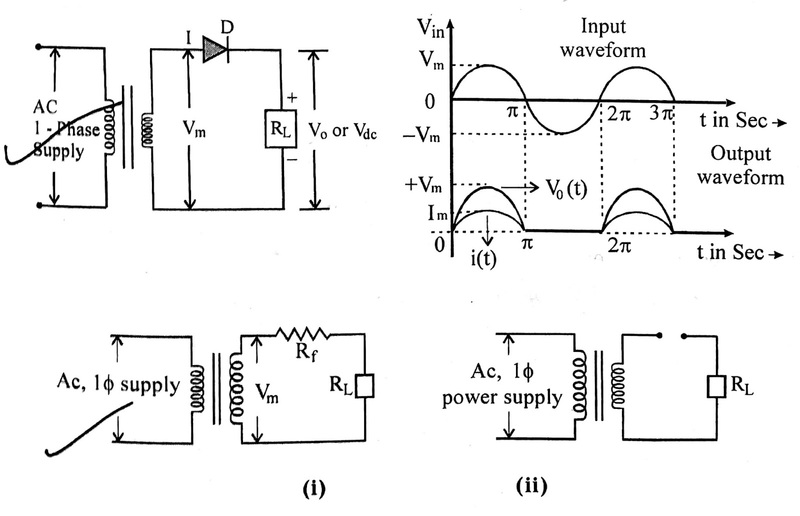 Half Wave Rectifier Circuit Working, Analysis and Characteristics. A simple Half Wave Rectifier is nothing more than a single pn junction diode connected in series to the load resistor. If you look at the above diagram, we are giving an alternating current as input. Input voltage is given to a step down transformer and the resulting reduced output of transformer is given to the diode ‘D’ and load resistor RL. The output voltage is measured across load resistor RL. As part of our “Basic Electronics Tutorial” series, we have seen that rectification is the most important application of a PN junction diode. The process of rectification is converting alternating current (AC) to direct current (DC). • It consists of step down transformer, semiconductor diode and the load resistance RL. • The need of step down transformer is that, reducing the available ac voltage (230V, 1ϕ, AC) in to required level of smaller ac voltage. • The diode can be used to convert the ac into pulsating dc. • During the positive half cycle of input, the diode D is forward biased, it offers very small resistance and it act as closed switch and hence conducts the current through the load resistor RL. From the equation it is observed that rectifier efficiency increases if the ratio Rf/RL is negligible. The maximum theoretical value of rectifier efficiency of a half-wave rectifier is 40.6% when RL is very high or for a fixed RL, RF should be low. The ripple factor is defined as the ratio of the effective. value or rms value of the ac component of voltage or current to the average value of vo ltage or current. The "ripple frequency" in a half wave rectification circuit is same as the fundamental AC frequency and hence half-wave method of rectification with single phase AC supply is not used for power charging. Also the rms ripple voltage exceeds the dc voltage and hence it is a poor conductor to dc. This is the maximum voltage with which the rectifier has to withstand during nonconduction period or reverse biasing. In a half wave rectifier, the peak inverse voltage equals the peak value of the applied voltage. i.e., PIV = Vm un d er reverse biased condition.